Join CODEPINK from February 28th - March 8th to protest drone warfare at Creech Air Force Base during the Creech Convergence for Peace. 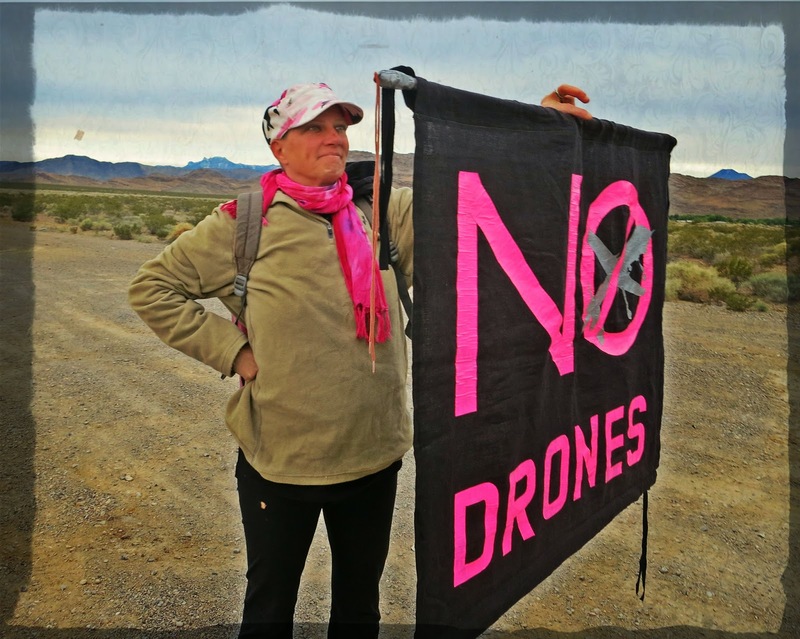 This convergence, organized by CODEPINK, Nevada Desert Experience, Veterans for Peace, Voices for Creative Non-Violence, and Women’s International League for Peace and Freedom, is a mass mobilization to stop drone wars and directly confront US militarism. Since 2005, drone operators at Creech Air Force Base in Nevada have completed thousands of assassinations abroad of “suspected terrorists.” Despite this claim, they have in fact killed thousands of civilians–– including over 200 children in Pakistan alone and are terrorizing communities in several countries.This is hurting the United States' standing in the international community –– take it from CODEPINK's Ret. Colonel Ann Wright! This ends in 2015. Save the date to shut down killer drone operations and demand an end to Obama’s covert wars around the world. Get inspired by photos and a video of previous Creech protests! To get involved, RSVP (then share with your friends!) and invite your organization tosponsor the #ShutDownCreech action! PS: If you are considering attending #ShutDownCreech please also consider heading to Los Vegas to support CODEPINK’s Boycott RE/MAX: No Open House on Stolen Land Campaign! Email NoOpenHouse@codepink.org for more info.